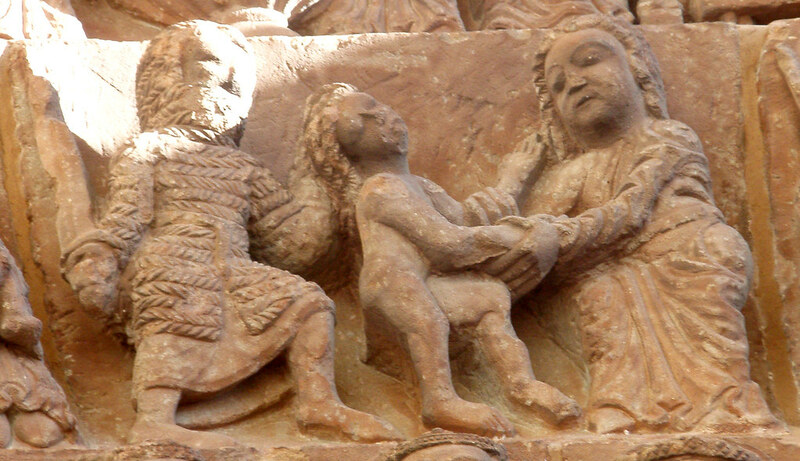 The arrest of Christ on the 4th row of the archivolt. 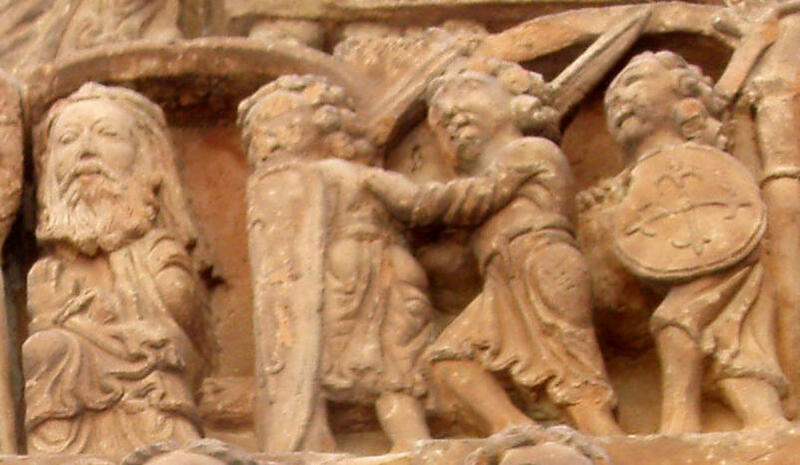 Soldiers arrest Christ on the 4th row of the archivolt. 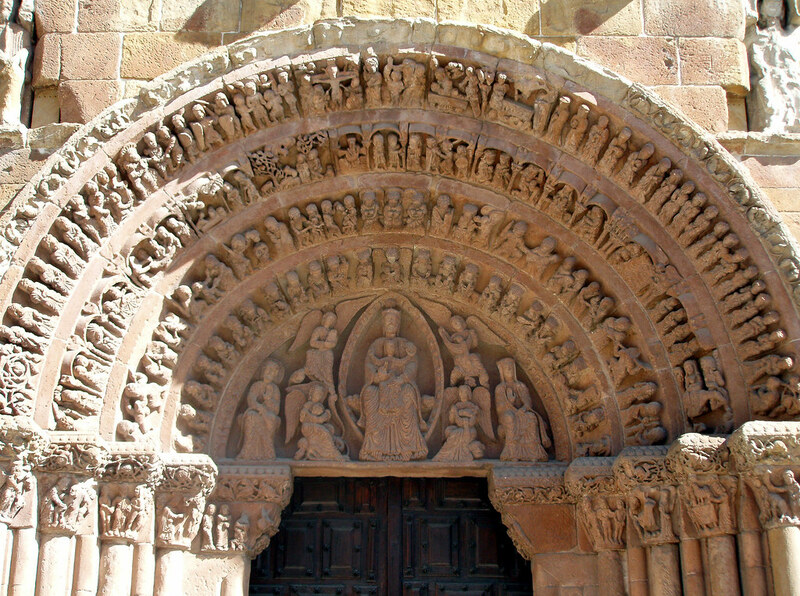 Here Herod's (sic) soldiers are portrayed as Moorish Andalusian warriors on the early to mid-12th-century carved west front of the Church of San Domingo in Soria. These would reflect the ordinary and somewhat poorly equipped infantry militias of Andalus. However, two men do carry the tall hardened leather shields with vertical keels down the centre which would evolve into the famous adarga (Arabic daraqa) of the 14th and 15th centuries. 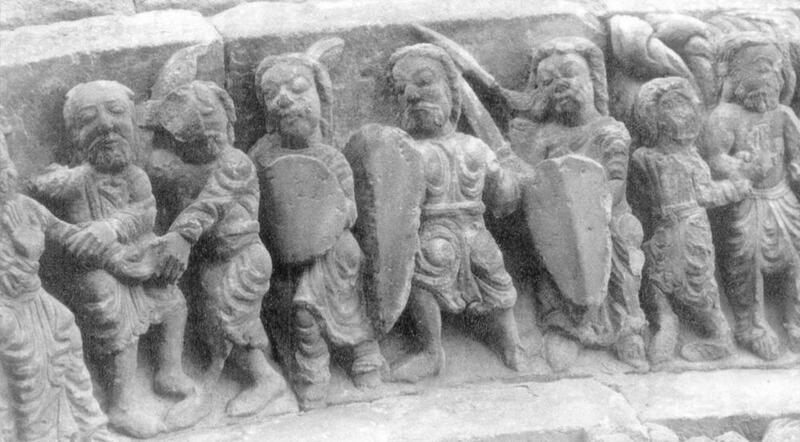 Soldiers on the 3rd row of the archivolt. The Massacre of the Innocents on the far left of the 2nd row of the archivolt. Massacre of the Innocents on the left of the 2nd row of the archivolt. 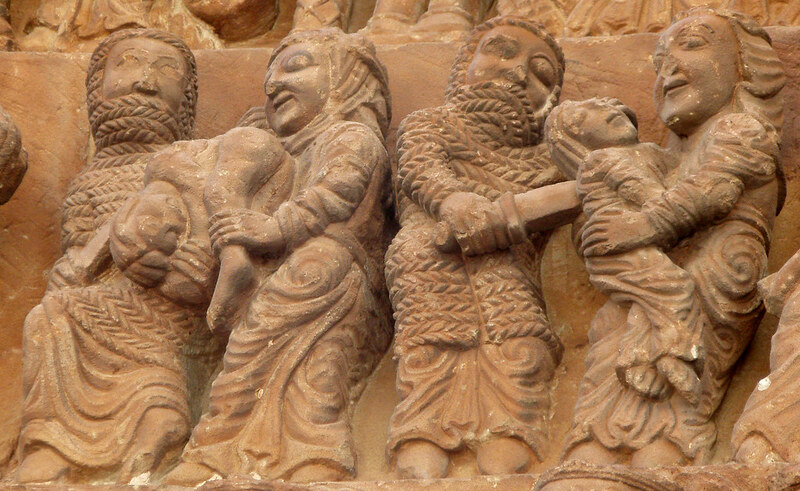 Massacre of the Innocents on the centre of the 2nd row of the archivolt. 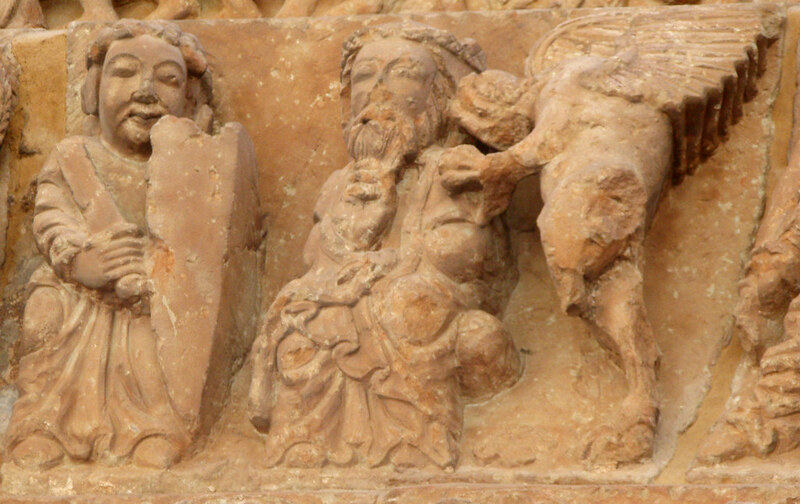 Herod orders the Massacre of the Innocents (a devil on his shoulder) on the 2nd row of the archivolt. The Massacre of the Innocents on the right of the 2nd row of the archivolt.